Beginning in 1990, KTC set out to offer automotive maintenance professionals the best tools in the world. During the next five years we created our now-famous nepros line. Our aim in developing these tools was very simple: thoroughly examine competing tools from around the world and then produce tools whose materials, design, manufacturing technologies and accuracy were superior. In short, nepros represents the KTC vision of the ideal tools. And to ensure that nepros tools retain their position as the best tools in the world, we continue to improve and refine them. The nepros line offers a level of functionality, performance, quality and beauty found in no other tools — feel for yourself the joy of nepros ownership. The nepros line is designed without compromise to be able offer the best tools in the world. KTC’s revolutionary design process delivers levels of strength, lightness and ease of use never before attained. Ratchets are ideal for working where space is limited. The latest nepros ratchet handles feature precise drive mechanisms featuring a 90-tooth gear with 7-step claws for powerful and precise drive that allows work in areas permitting as little as 4° of stroke movement. 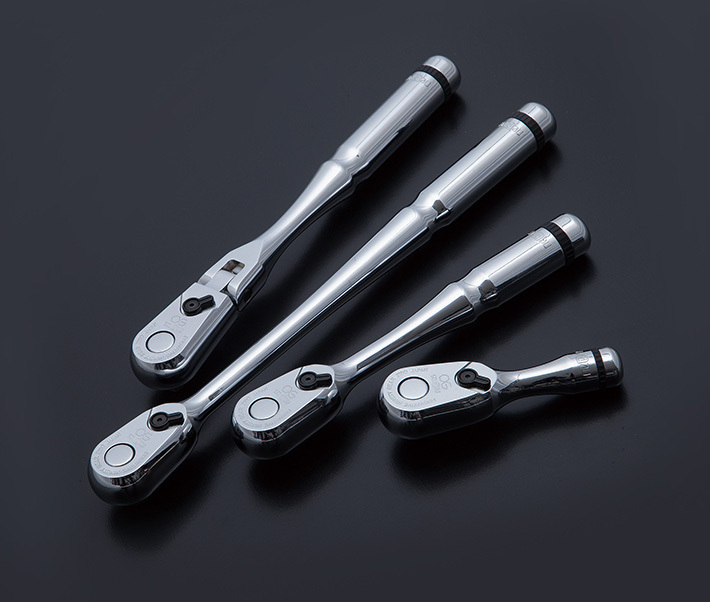 KTC’s unique design makes these efficient ratchets strong and easy to use. These T-handles are heavy at the ends while their machined center sections are thinner for lightness. The result is an ideal weight distribution and a unique shape to facilitate smooth, quick rotation. The joint between the handle and the axis on the 9.5sq. T-handle is square; on the T-wrench it is hexagonal. This makes it easy to distinguish between the two when viewed from above, allowing quicker and more efficient work. One of the most important features of nepros tools is their high dimensional accuracy. Tolerances are kept close to zero using KTC’s unique and very strict quality control standards. This ensures a secure fit to nuts and bolts, and makes the tools safe and comfortable to use. Manufactured to the highest standards using superior materials, nepros sockets and box wrenches use our “N-PowerFit Shape” to maximize contact area with nuts and bolts, while minimizing the amount of material needed. The external dimensions also meet the world’s highest standards for compactness, allowing access to areas conventional wrenches cannot reach. To determine the ideal tip shape for our Phillips-head screwdrivers, we performed comparative research on approximately 1,000 different screw types. In addition to accurately measuring the required dimensions, we also precisely evaluated the “feel” of numerous prototypes before arriving at KTC’s unique tip shape. This shape helps prevent the tip from slipping out of the screw, for secure tightening. 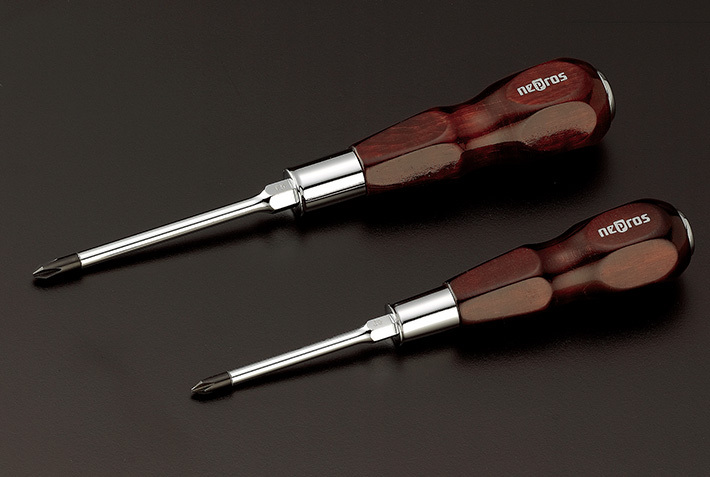 nepros tools are not only very functional; they also have a very sensuous feel because they are ergonomically designed to fit the worker’s hand. Far from being merely decorative, their beauty is an expression of how well they integrate with the human hand. 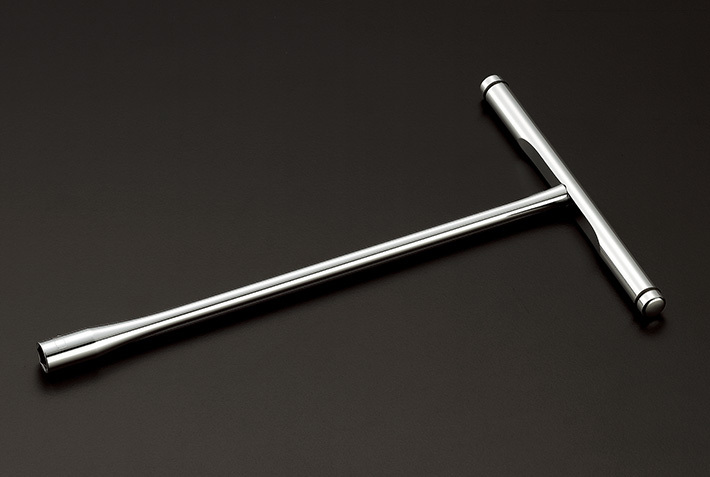 The handle thickness is meticulously designed to ensure it is comfortable to grasp and easy to use to apply torque. To achieve the ideal thickness and feel we hollowed out the handle for improved balance and lighter weight. The indentations on the handle make it easy to grasp, and its carefully polished surface and plating have a beauty that makes you want to hold it. 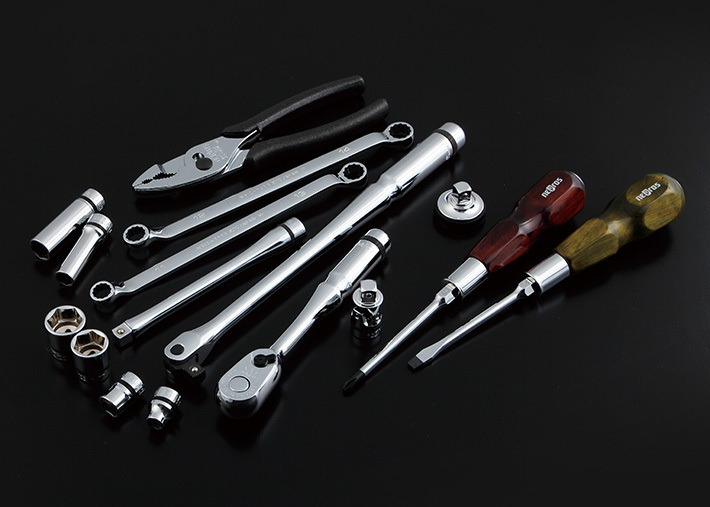 The open end of these wrenches, where stress is concentrated, is uniquely shaped for compactness and high strength, allowing efficient work in confined workspaces. 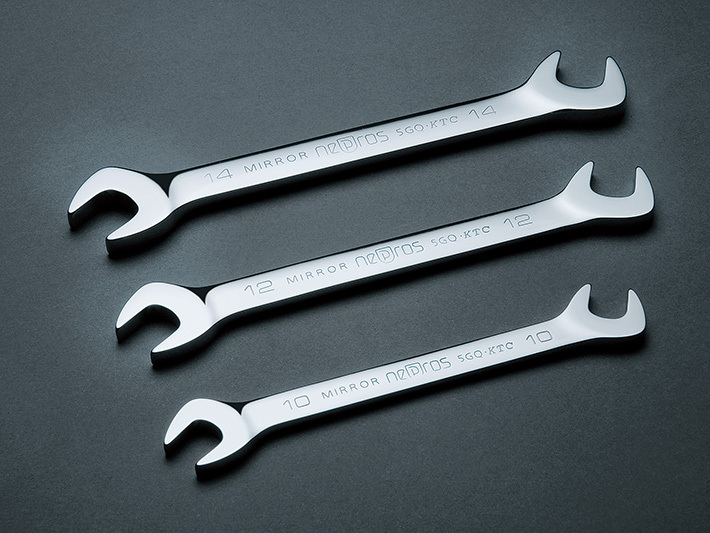 After the wrenches are polished to a mirror finish, they are plated with hard-chrome to resist wear, corrosion and peeling. 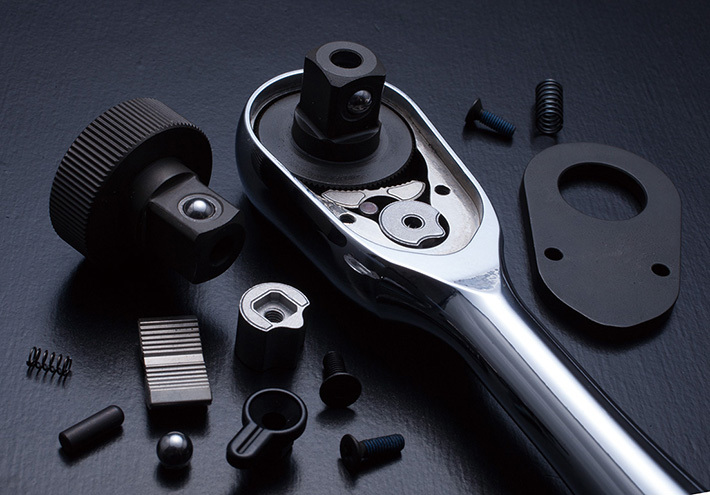 The finished wrench is literally a work of art that inspires pride of ownership in KTC tools. In North America, KTC Tools can be purchased on Amazon. Read more information in VehicleServicePros.com.